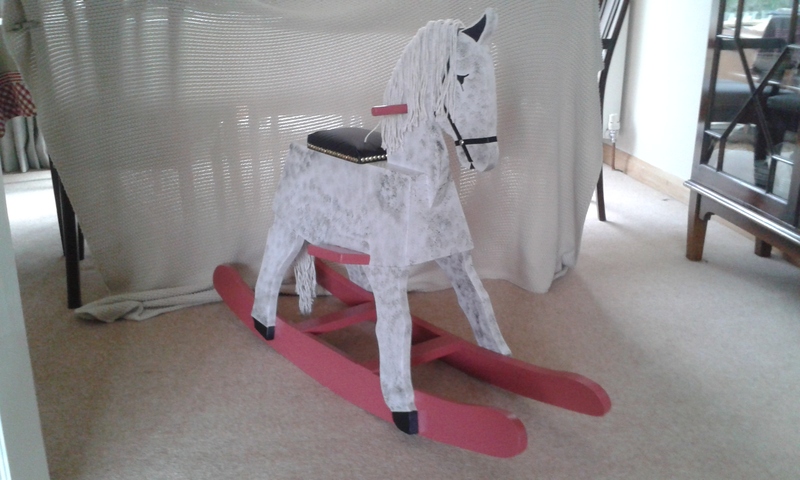 I have just delivered this rocking horse to my granddaughter having been walking hard on it all month. She thinks Dobin is just great for riding and feeding although she can hardly reach the foot rests. My daughter is delighted and showing all her friends who are asking for commissions. 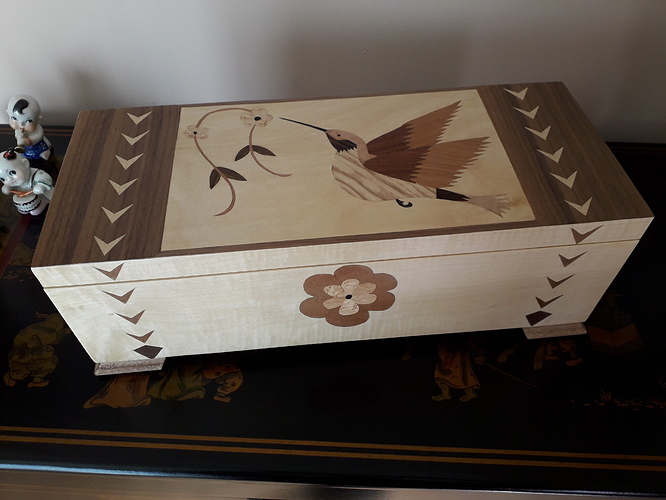 A box I made for my Mum. 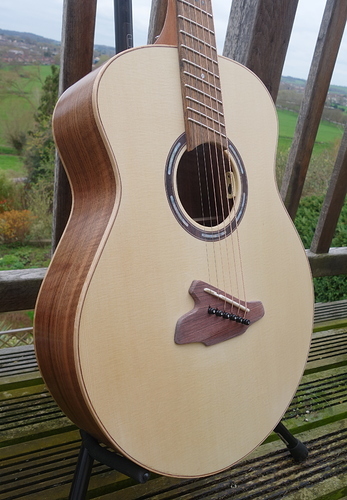 Made from laminated pine and veneered with sycamore, walnut, birds eye maple and a few other veneers I’m not sure of! I made the feet from poplar and made my own scratch stock to shape them. 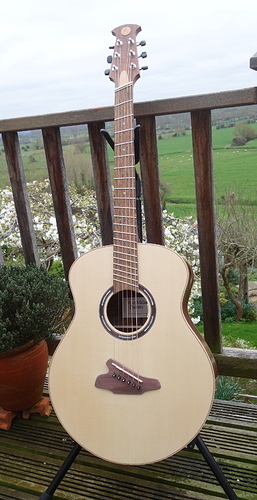 Left handed Fanfret (variable scale) guitar completed this morning. 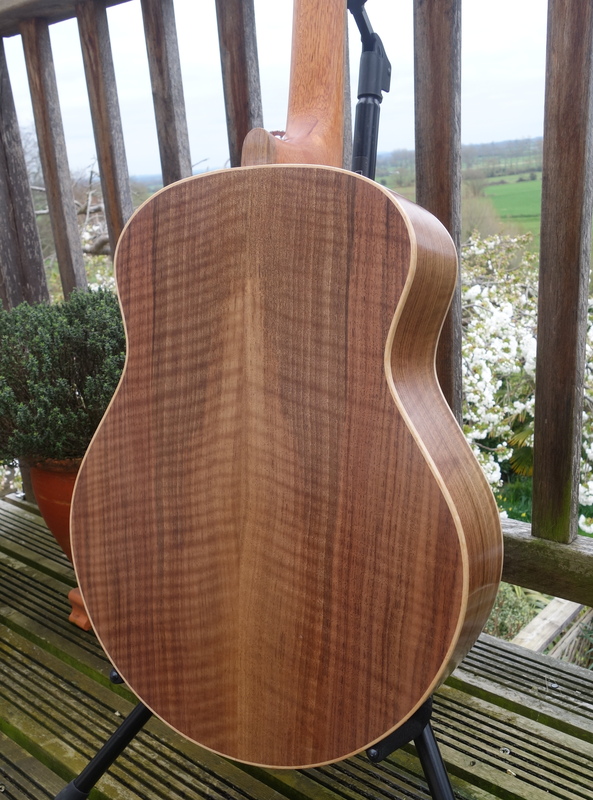 European Walnut back/sides, European Spruce sound board, Mahogany neck and Mexican rosewood fingerboard. Hi all, this is my entry for the #makeitinmarch19 competition. 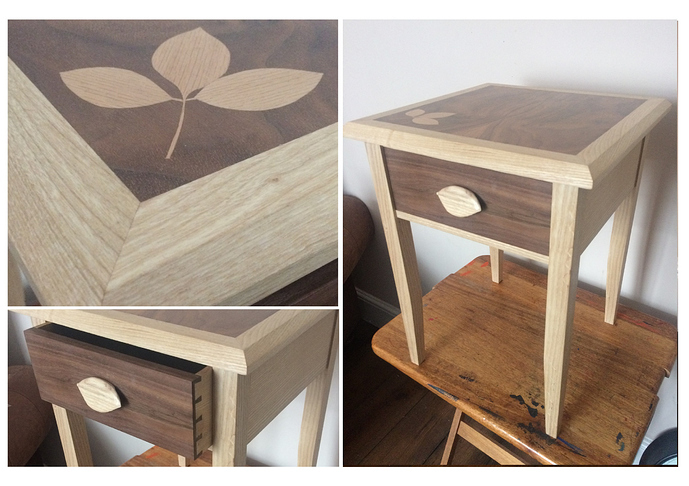 This is my first piece of fine furniture, completed as part of the part time C&G Furniture making course. It’s a small side table of Ash and Walnut Construction. The top is a mdf core with book matched top and quarter matched underside, featuring a Ash leaf motif. A traditionally made, piston fitted, drawer with hand carved leaf handle. 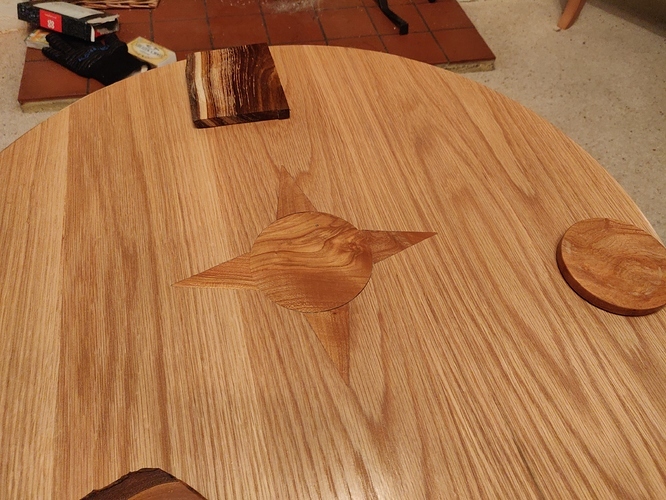 All joinery, veneer matching and marquetry done solely with hand tools. I’m very happy with how it’s turned out, it will be a feature in our lounge for years to come! 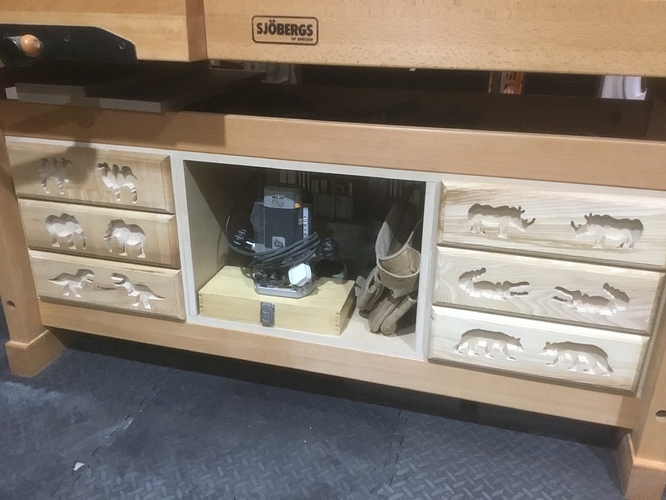 To complement my recent bench purchase from Axminster I decided to make the cupboard and storage unit myself. 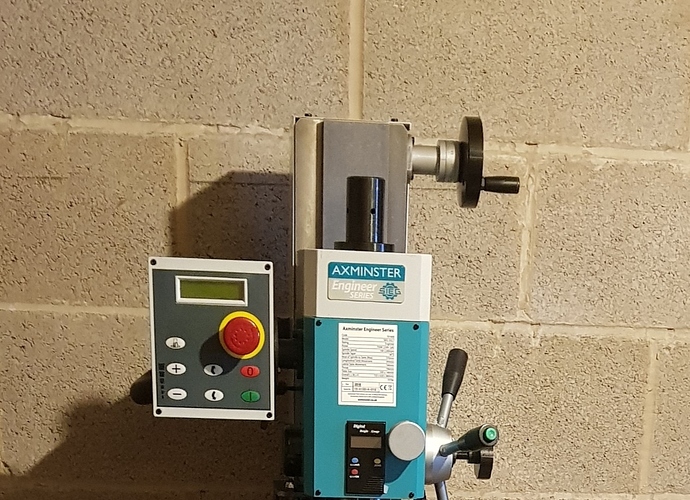 I bought a Mill from Axminster and needed something both sturdy and portable to house it upon. While unpacking I thought it would be a great idea to recycle the transportation crate that it arrived in and so along with some reclaimed 3x3" and 4x4" I made cabinet you see below along with my name positioned on the top shelf and shipping label still attached. When I was in Istanbul some years ago I visited the Topkapi Palace - the 15th century residence of the Sultan. Amongst other things I was taken by an amazing balustrade carved in marble - shown in the inset picture. I eventually came up with a design from this which is the oak sculpture with mirror as shown. It’s always interesting coming up with a design and then asking the question … Well how am I going to make this? After going back to the drawing board many times I came up with this one. The construction is in oak reclaimed from old kitchen cupboard doors. The design is based on two squares intersecting at 45 degrees with each other encircled by a hexagon. 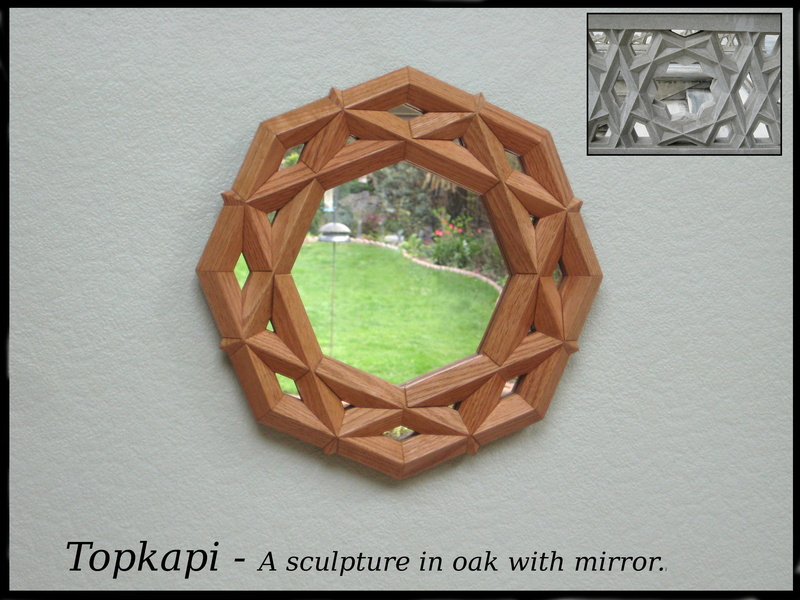 It seemed to need something more in the middle which is why I made it into a mirror. I made great use of my Bosch compound mitre saw, bought many years ago from Axminster, along with multiple jigs, most importantly to avoid any of my finger tips ending up in the sculpture! Oops… I should have said … encircled by an Octagon…not a Hexagon! Just finished today. Danish oil from Axminster North Shields. 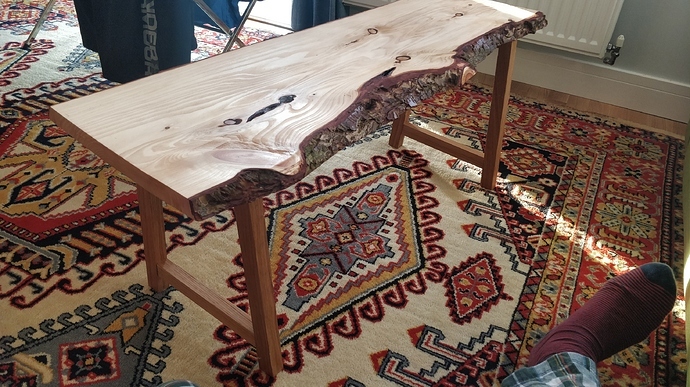 A coffee table made from recycled wood from the Bristol wood recycling project! 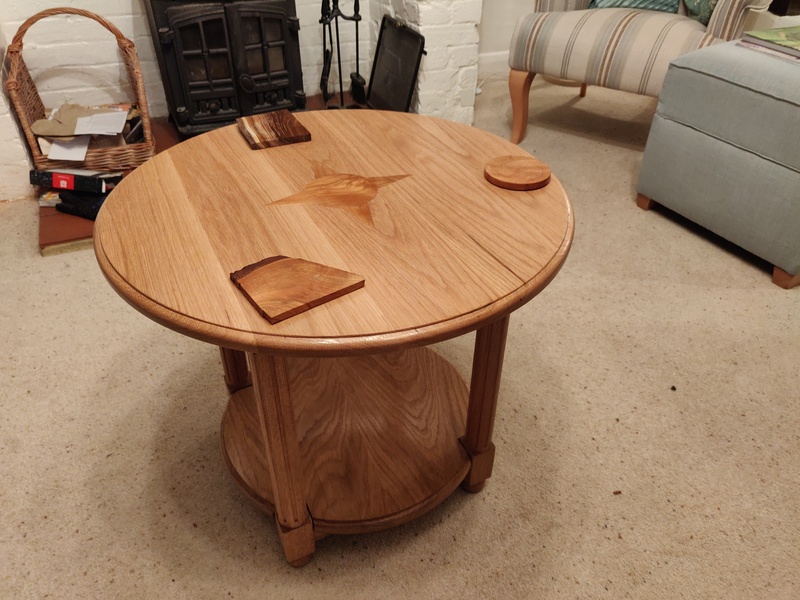 A solid oak coffee table with cherry inlay, turned and routed legs and cherry and laburnum coasters. 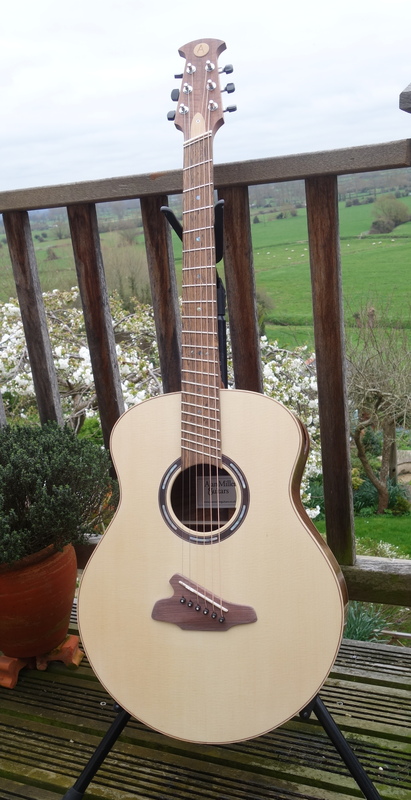 Used a variety of tools from Axminster to make it. 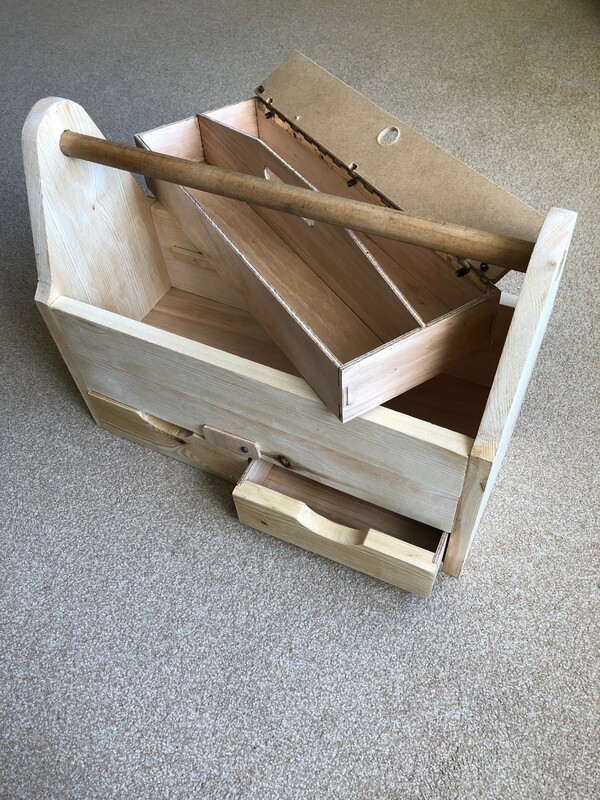 This is a prototype carpenter’s toolbox which was designed and built to satisfy the requirements of a qualification in woodworking. The project will be used by school students to learn how to work with wood and woodworking tools, equipment and techniques. Gold coloured oval skeleton clock. 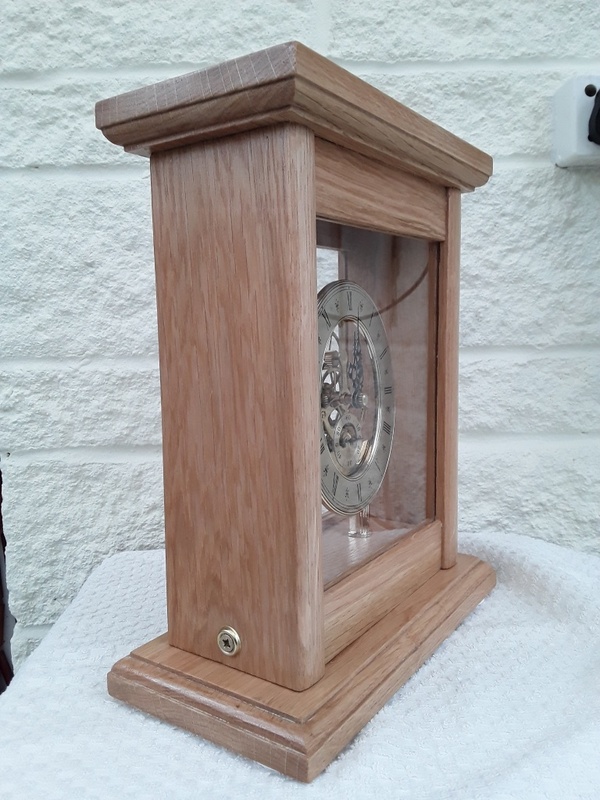 Set in Oak Cabinet with 2mm glass back and front. 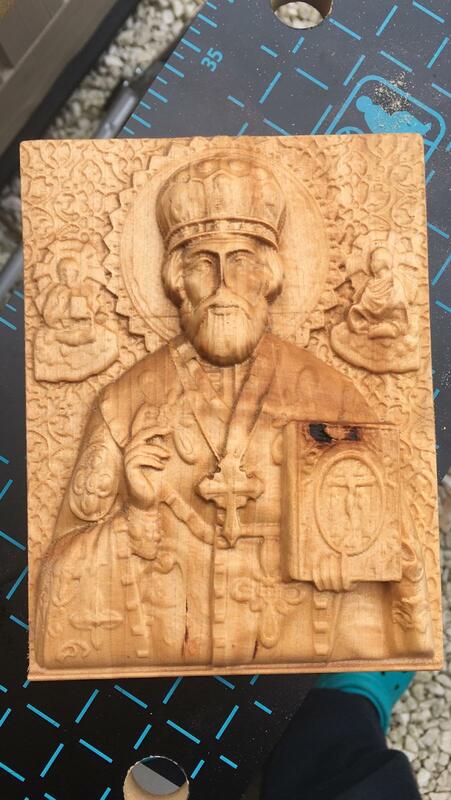 Size of 80cm high 23cm wide 12cms deep. Top section of Cabinet lifts off from the base after the release of the screws to allow the clock to be regulated and to change the battery. 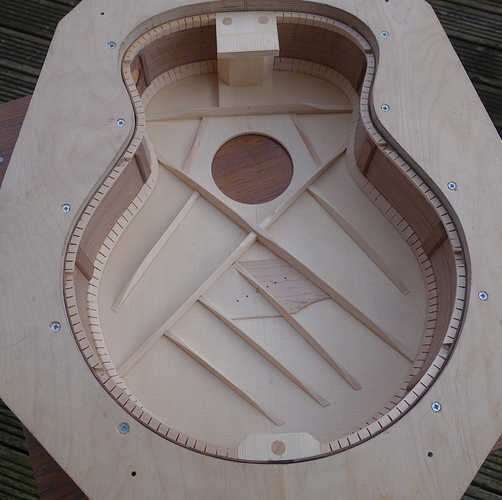 Top and bottom rails of the Cabinet are morticed and tenoned into the sides. The top is glued and dowelled onto sides. 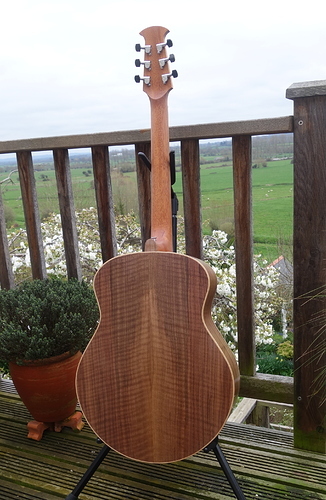 All is done with a waxed polished finish. My entry for the make it in March competition was inspired from the spring 2019 Scrollsaw woodworking and crafts magazine. 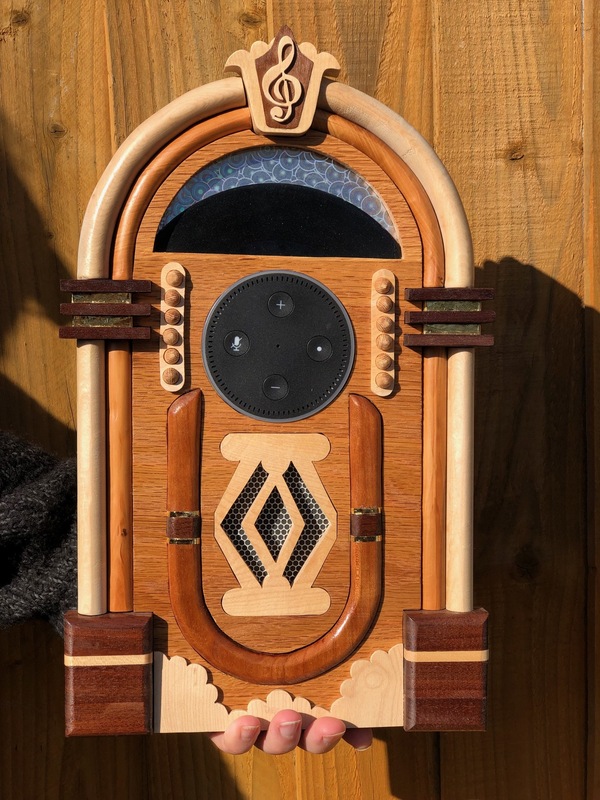 It is an intarsia juke box made to house and echo dot. 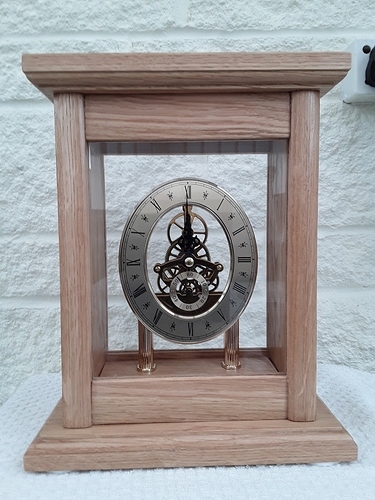 Scroll saw, router and table saw all from Axminster used in this, time and patience from myself! I used 5 kinds of wood which were oak, cherry, walnut, sycamore and yew. The gold banding was made with a high adhesive tape and gold foil, the mesh from my crafting stash. Thank you to everyone who is posting, your work is really inspiring. 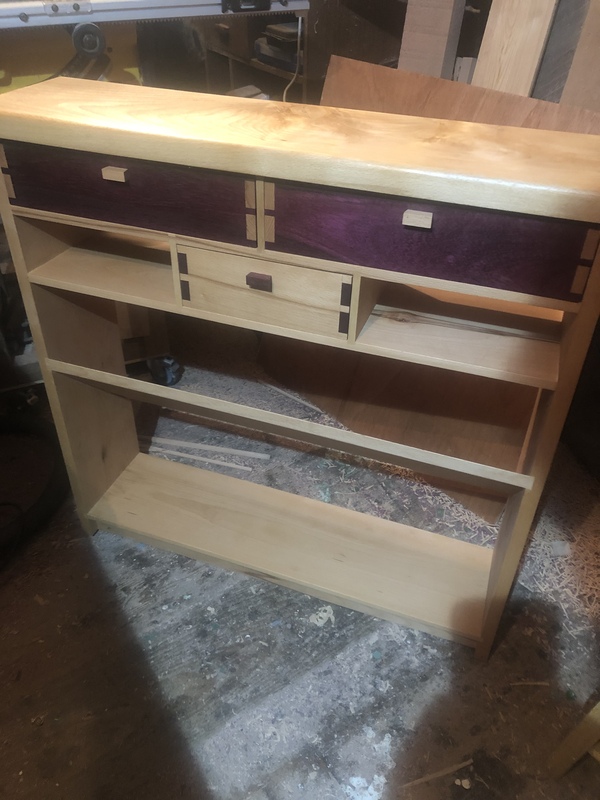 Started woodworking about 9 months ago and have almost finished a beech hallway cabinet and shoe shelf for my parents. Back to go on today. Purple Heart drawer fronts with hand cut dovetails wedges through tenons. Looking at the range of excellent work entered for this Competition I feel humbled by the imagination and skill shown by the entrants. Truly wonderful. 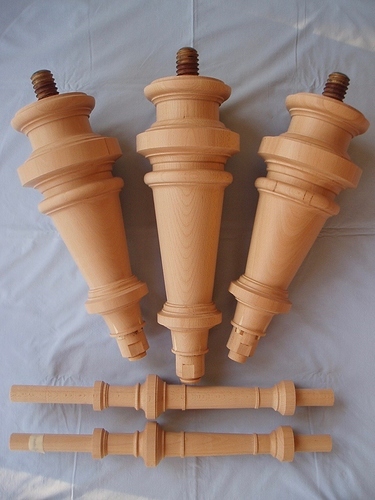 My offering is a set of legs and lyre columns for a Bluthner Grand Piano. The blanks were built up on the original central core, from which the turned portion had been ‘removed’ by a previous owner to make the legs square (and totally out of keeping with the rest of the piano). The present owner wishes to return the piano to its previous glory. 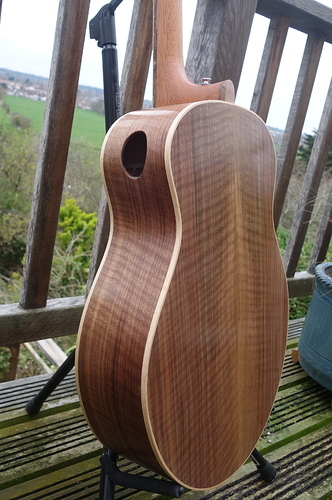 The legs have yet to be fluted on the long tapered portion and be fitted with their brass ferrule and caster, the columns have to be built into the complete Lyre (which carries the pedals), and all have to be finished in black polish to match the case - but that will have to wait until April. 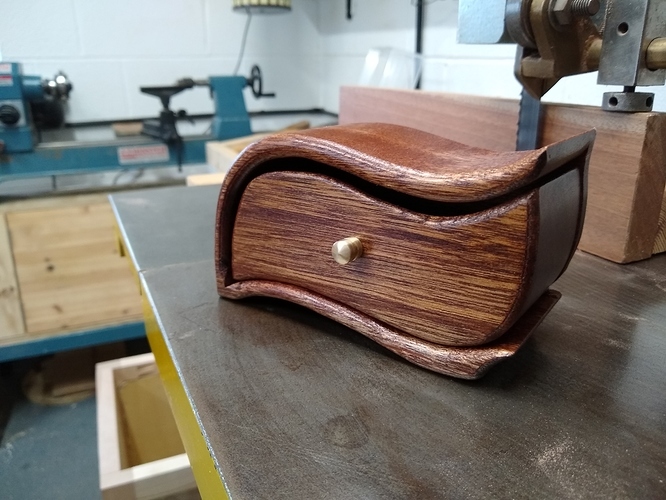 A bandsaw box I made from one of your bowl blanks and using your belt and disc sander. A brides cog that I just finished for my wedding in July. Made out of ash and walnut segments. 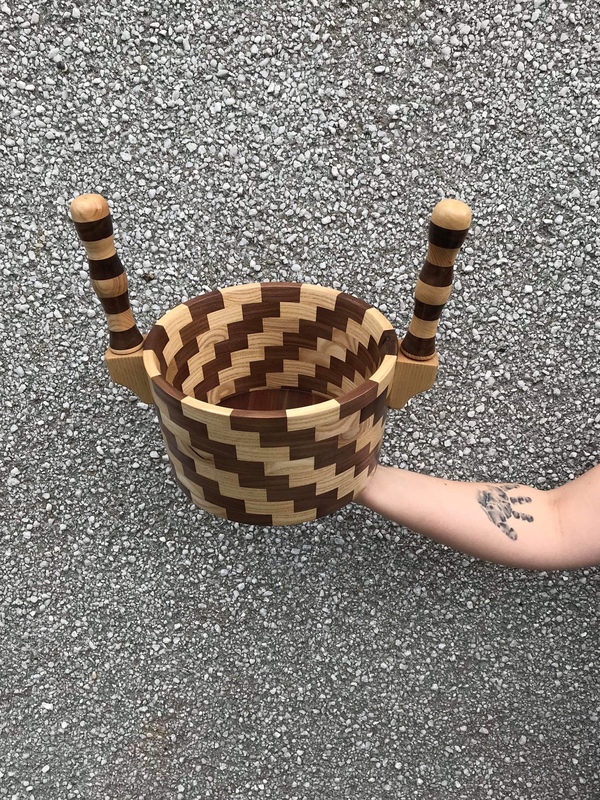 Usually they are made of wooden staves with brass bands holding it together but I thought I would try something different. Used some of the Axminster turning tools. It is a vessel that is filled with a warm alcohol mix and gets past around at an orcadian wedding.